Today, I check YAJ and I can’t believe my eyes! 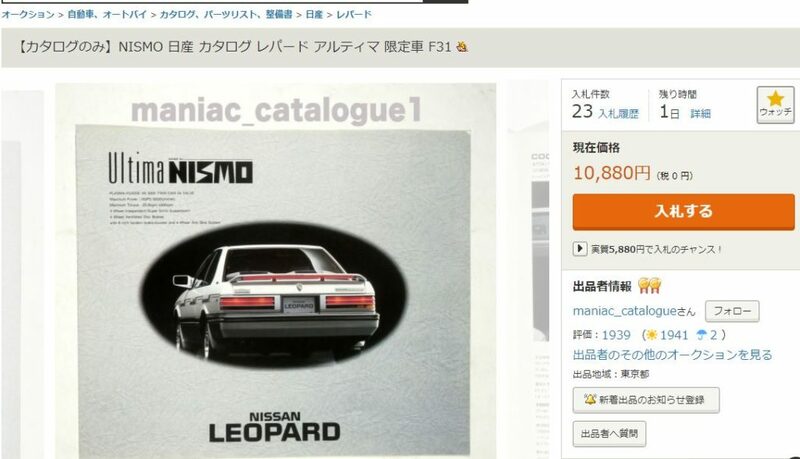 I was thinking of bidding on it, but I remember when I was in Japan and talking to some of the leopard owners, many of them wanted this brochure when I was asking information on it. You see, many leopard owners and leopard parts/information collectors too. As of this time with 1 day left, there have been 23 bids. 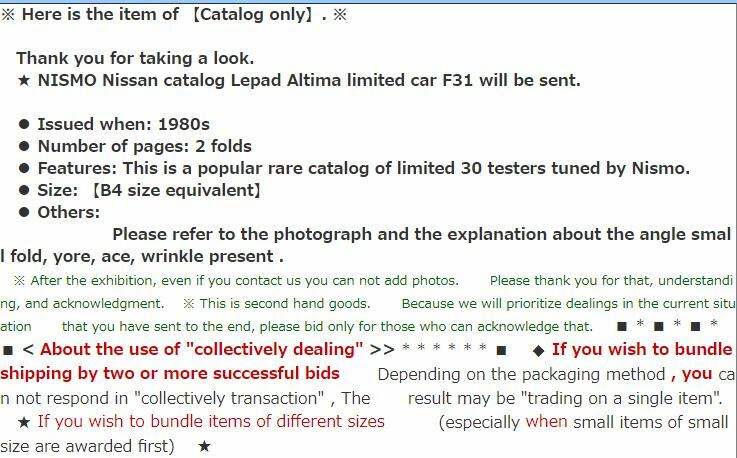 This entry was posted in history, magazines, opinion, parts and tagged brochure, nismo, nissan leopard.